Why didn't President Obama tell the truth about what happened in Benghazi? The truth about what happened in Benghazi – and when President Obama knew it – could have a huge impact on the closing days of this campaign. Turns out the White House, the State Department and the FBI were all told two hours after the September 11 attack on the U.S. Consulate in Benghazi that an Islamic militant group had claimed responsibility. Two hours. One government e-mail from the State Department shows a Libyan group – called Ansar al-Sharia – claimed responsibility for the attack on Facebook and Twitter. The group denied responsibility the next day. This is big. It suggests that the president had reports that very day that the attacks that killed U.S. Ambassador Chris Stevens and three other Americans weren't because of some film clip. And yet – we heard just the opposite. It took the administration nine days to refer to the attack as the work of terrorists. Instead, top officials insisted there was no evidence suggesting the attack was "planned or imminent." They continued to suggest that it was that anti-Muslim video produced in the United States that fueled a spontaneous protest in Benghazi. This includes folks at the very top like Secretary of State Hillary Clinton, U.S. Ambassador to the U.N. Susan Rice and the State Department spokeswoman. Why did the president and his top lieutenants obfuscate and hem and haw for so long before telling us what really happened? Try politics. As for this latest report, the White House says that these e-mails were part of a public flow of information in the aftermath of the attack and that it's the job of the intelligence community to sort through this stuff. They still refuse to accept responsibility for misleading the American people. However, the more information that comes out about the Benghazi attack, the more questions there are about how the administration handled this. And that's not good for Obama just 13 days before the election. Here’s my question to you: Why didn't President Obama tell the truth about what happened in Benghazi? 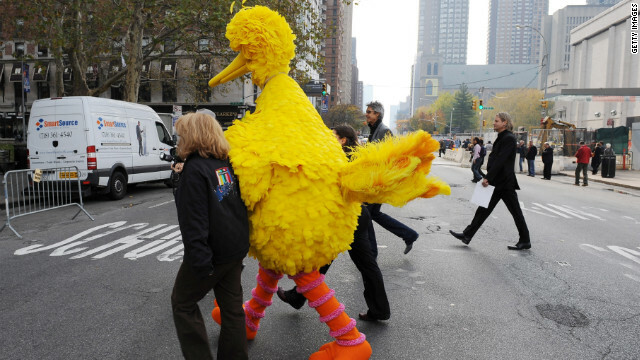 During last week's debate, Mitt Romney said while he likes Big Bird, he would still cut funding from PBS. Why won't President Obama talk about Benghazi, instead of Big Bird? While President Obama talks about Big Bird on the campaign trail, the real topic begging for answers is what happened in Benghazi on September 11. But the murder of a U.S. ambassador and three other Americans amid what appears to be insufficient security is not something this administration wants to talk about. Consider this: Up until today, there had been no White House press briefing for more than two weeks. Meanwhile, it took the FBI three weeks to arrive on the scene in Benghazi after that deadly attack, allegedly for safety reasons. Three weeks. This has rightfully raised concerns about sensitive documents being left unsecured at the compound. The State Department insists no classified documents were left on the premises. Really? A CNN reporter walked right into the consul and retrieved the ambassador's journal three days after the attack. What else was left behind? The administration continues to change its story about what happened and why. Initially it said the attacks were a reaction to a film made by an American mocking the Prophet Mohammed. More than a week later the administration called it a terrorist attack, potentially linked to al Qaeda, after it was learned a Libyan security official warned of a possible attack three days before it happened. Now we learn that repeated requests for additional security were ignored. 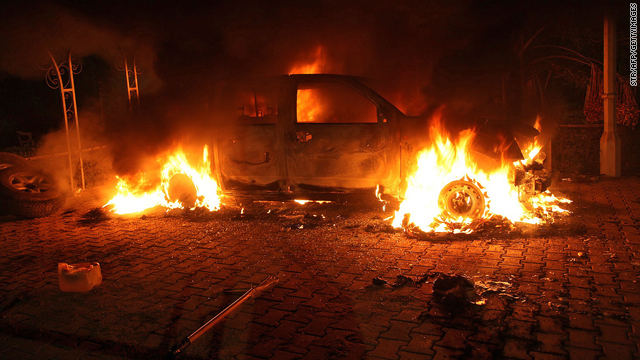 Finally, the Benghazi timeline shows there were no protests before the attack. There's a reason the president doesn't want to talk about Benghazi: The way it was handled before and after the murders is a disgrace. Expect Mitt Romney to ask the president about all this when a future debate turns to foreign policy. Here’s my question to you: Why won't President Obama talk about Benghazi, instead of Big Bird? 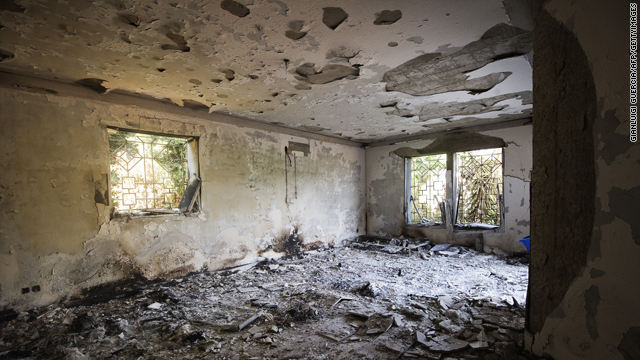 The damage inside the burnt U.S. consulate building in Benghazi following this week's attack in which the U.S. ambassador to Libya and three other U.S. nationals were killed. Should the U.S. halt foreign aid to Libya and Egypt? The violence in the Middle East has renewed questions about which countries get U.S. foreign aid and whether they deserve it. Some House conservatives wanted to strip foreign aid to Libya and Egypt from a six-month funding bill set for a vote today. That's not going to happen because it was too late for any changes to this bill. Nonetheless, some Republicans are questioning if the U.S. should keep giving money to countries run by "radical Islamists" such as the Muslim Brotherhood in Egypt. Others say before handing out aid, the U.S. should make sure Libya is helping with the investigation into the attack and murder of our ambassador and three other Americans. But not everyone agrees. According to The Hill newspaper, senior House Republican David Dreier of California says it would be a "big mistake" to cut funding to Libya and Egypt. Dreier says it's essential now more than ever to "strengthen ties with these fledgling democracies." It's worth pointing out that as millions of Americans suffer under a weak economy, our government is sending lots of money we don't have overseas to other countries. U.S. foreign aid to Egypt is about $1.5 billion a year. That's second only to Israel. And Mohamed Morsy, the new Egyptian president, didn't even apologize for the attacks on the embassy in Cairo until today, two days after they happened. That tells us quite a bit. 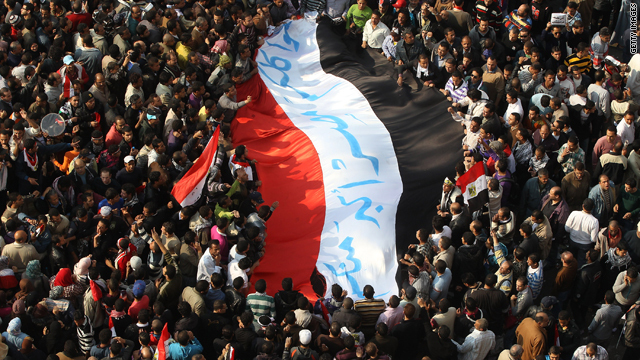 The U.S. had withheld aid to Egypt this past year when the government was cracking down on protesters. Now a decision will have to be made whether to do it again. Here’s my question to you: Should the U.S. halt foreign aid to Libya and Egypt? A vehicle and the surrounding area are engulfed in flames after it was set on fire inside the U.S. consulate compound in Benghazi last night. How will the meltdown in the Middle East affect the U.S. presidential election? The violence in Libya has suddenly yanked the spotlight off the economy and put it squarely on foreign policy as far as the U.S. presidential campaign is concerned. Mitt Romney is slamming President Obama for his administration's response to angry mobs attacking U.S. diplomatic buildings in the Middle East. Romney said that a statement from the U.S. Embassy in Cairo was like an apology, calling it "disgraceful to apologize for American values." Other Republicans are jumping in, blasting the president's "failed foreign policy of appeasement and apology." The White House has disavowed the embassy statement, saying it did not approve the statement. In it, the Cairo embassy condemned "continuing efforts by misguided individuals to hurt the religious feelings of Muslims." This all goes back to a film produced in the United States that some Muslims found offensive. Meanwhile the president condemned the attacks and said we must "unequivocally oppose the kind of senseless violence" that took the lives of four Americans, including the U.S. ambassador to Libya. The president's campaign said Romney is using the tragic events for political gain. 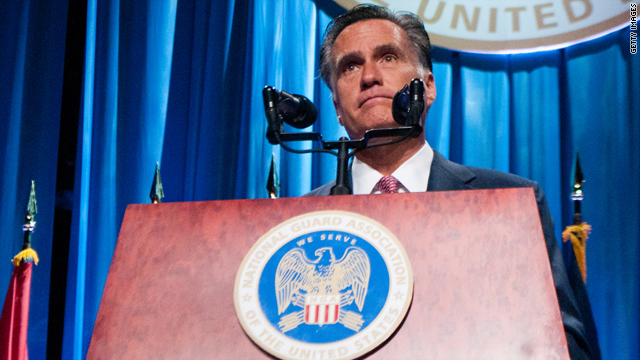 Others agree that Romney may have jumped the gun with his response. Sen. John Kerry called Romney's remarks irresponsible, inexperienced and reckless. He said Romney was wrong to weigh in before all the facts are known. As for voters, they tend to trust the president more on foreign policy. 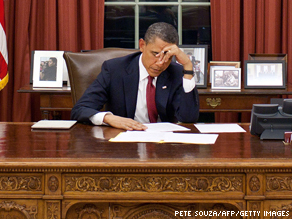 A CNN/ORC International Poll released this week showed President Barack Obama with a 54%-42% advantage over Romney. Here’s my question to you: How will the meltdown in the Middle East affect the U.S. presidential election? After Gadhafi, what’s next for Libya? In Libya, as in many parts of the Middle East, getting rid of the dictator is only the first step. We're talking about people, for the most part, who have lived under oppression for generations and have no idea what freedom is about. Now that governing will be in their hands, it's a good bet they'll make some mistakes along the way. And, change is not going to happen overnight. You don't have to look too far for examples. More than 8 years after Saddam Hussein was toppled, Iraq is still trying to figure out what it wants to be. In Afghanistan, 10 years after the U.S. went in to knock out the Taliban, the country is pretty much the same disorganized, poverty-stricken collection of tribes that it's always been. You can probably make money predicting 1,000 years from now it will still be that way... and Hamid Karzai and Barack Obama are not going to change that a whole lot. Egypt without Mubarak is very much a question mark. Love him or hate him, Hosni Mubarak was a friend of the United States for a very long time and managed to keep the Camp David accords in place. Since his ouster, the peace between Israel and Egypt has become more fragile. In Tunisia, the social and economic problems that helped bring about that revolution are still weighing heavily on the interim government. And now, Libya also finds itself on the threshold of a whole new way of life. In some ways, it's not unlike an inmate being released after serving a long prison sentence. The world has changed and life without the structure behind the prison walls is frightening and challenging and a lot of them don't make it. 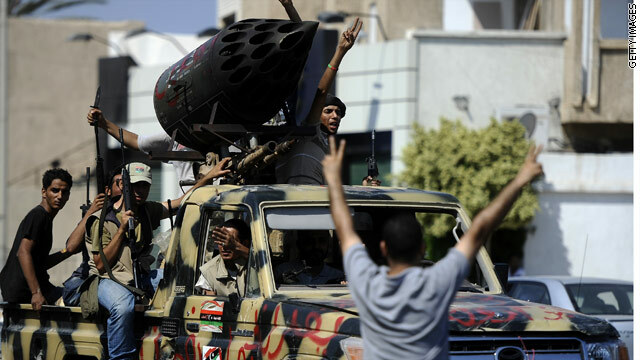 Here’s my question to you: After Gadhafi, what’s next for Libya? What should happen to Libya’s Gadhafi if captured? Another day, another Middle East dictator on the verge of falling. Except no one can find him. Libyan rebels have control of most of the capital city of Tripoli and they say they have three of Moammar Gadhafi's sons in custody. But the main prize will be Col. Gadhafi, and it's unclear where exactly he is. Some believe Gadhafi is hiding in Tripoli, while others think he's fled to a neighboring country like Chad or Algeria. The Pentagon says it believes Gadhafi is still in Libya. 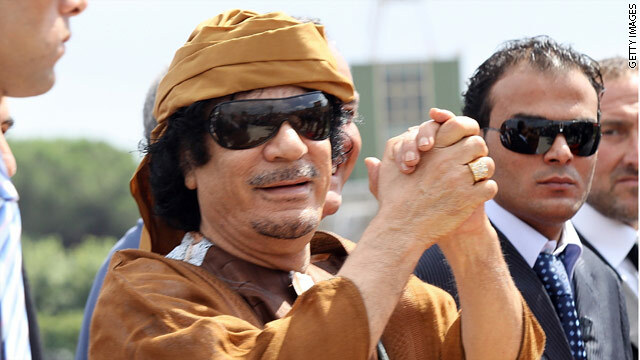 If Gadhafi is captured alive – and that's a big if – the question will be what happens to the man who ruled Libya with an iron fist for more than four decades. The International Criminal Court in The Hague has warrants for the arrests of Gadhafi and one of his sons, along with his brother-in-law, who also happens to be the head of military intelligence. But it's yet to be seen if the Libyans will want to hand Gadhafi over to the International Criminal Court or administer their own brand of justice. My money is on the latter. Look at Egypt: Former President Hosni Mubarak is standing trial for the crimes committed against his own citizens. It’s unusual for an Arab leader to be called to account by his own people. There are surely millions of Libyans who would like to see Gadhafi brought to justice. Think Saddam Hussein. Since taking power in a 1969 coup, Gadhafi has destroyed any and all opposition, even sending hit squads to shoot down Libyans in exile. He called them "stray dogs." Gadhafi has also been tied to some of the most notorious terrorist atrocities worldwide before the 9-11 attacks, including the bombing of Pan Am Flight 103. Here’s my question to you: What should happen to Libya's Moammar Gadhafi if he's captured? 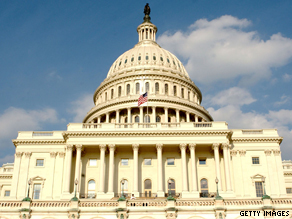 Should Congress cut off funding for operations in Libya? Questions continue over President Obama's decision to send U.S. forces to Libya. Whether or not he complied with the War Powers Resolution, or if he even needed to. The president says he didn't. Either way, lawmakers didn't have much say in the matter - and 90 days into the conflict, they still don't. But what they do have a say in is how much money can go toward a military operation like this one. And House speaker John Boehner– who has said repeatedly that the president was in violation of the Vietnam era resolution - says the House could cut funding for U.S. military involvement in Libya when it takes up a defense appropriations bill later this week. On the Sunday talk show circuit, two Republican Senators - Lindsey Graham of South Carolina and John McCain of Arizona - both said they oppose cutting funding and warn that it could hurt NATO efforts in the region. Outgoing Defense Secretary Robert Gates also said cutting off funding in the middle of a military operation is always a mistake. Gates also said he thinks that this conflict will "end okay" but he could not make a prediction as to how long it would last or when Moammar Gadhafi would fall. But for a number of lawmakers the eventual outcome as well as the decision to go into Libya are beside the point. Last week, a bipartisan group of 10 House members filed a federal lawsuit challenging Obama's decision to send U.S. forces to Libya. Here’s my question to you: Should Congress cut off funding for operations in Libya?